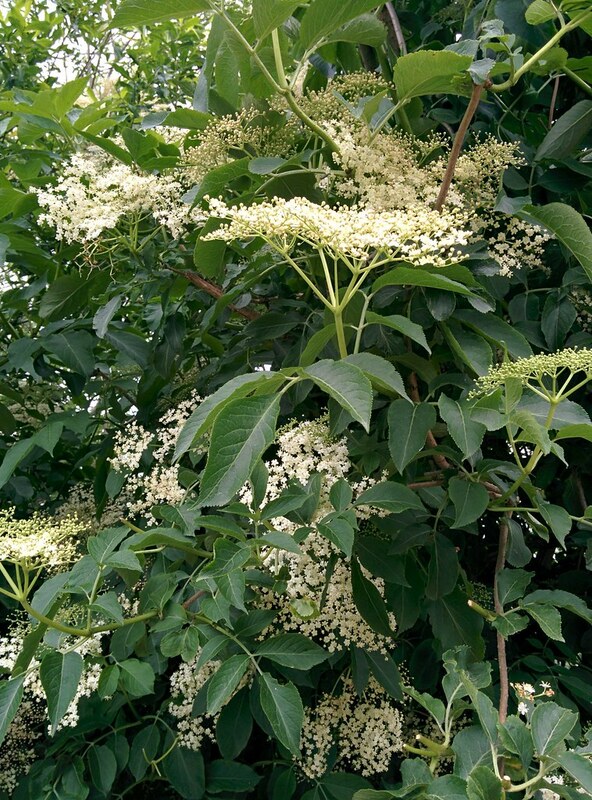 All the beautiful elderflowers are blooming in the end of june. Normally I am to slow – or maybe lazy to pick them and make wonderful things. But this year I made it! I ran down to the local park area where there was lots and lots of elderflowers. 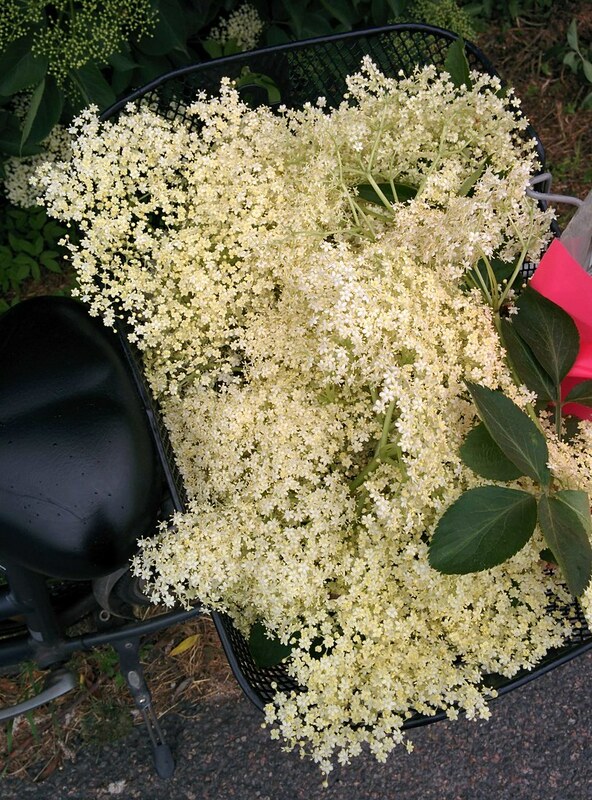 I gathered a big bucket of elderflowers – and there was plenty! I came home and rinsed the elderflowers. Then I added sugar, lemon slices and boiling water. 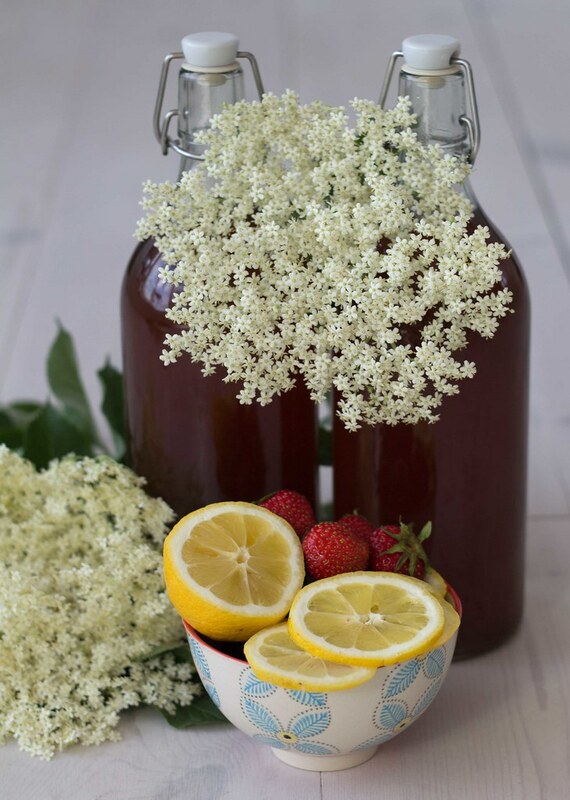 Then you just have to wait 3-4 days before your elderflower juice is ready to drink – that is a very long time to wait! But finally my elder flower juice was ready to drink and it tastes wonderful! I mix the concentrated juice with sparkling water, some ice cubes to cool it down and a bit of strawberries on the top. You can also mix it with tap water, but you need to try the version with sparkling water too – it is so good! 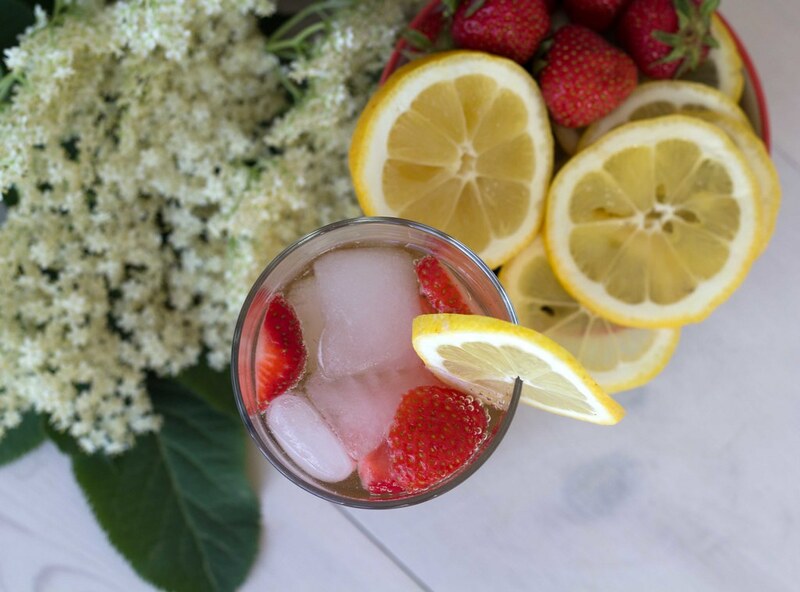 If you would like to serve it as a drink for some guests try adding white wine and sparkling water to the elderflower juice. My juice was made with caster sugar and brown sugar, so it is a little bit dark in the color. The brown sugar gives the juice a bit of caramel taste, which I find very delicious. If you prefer the light color you can just use cane sugar or caster sugar. 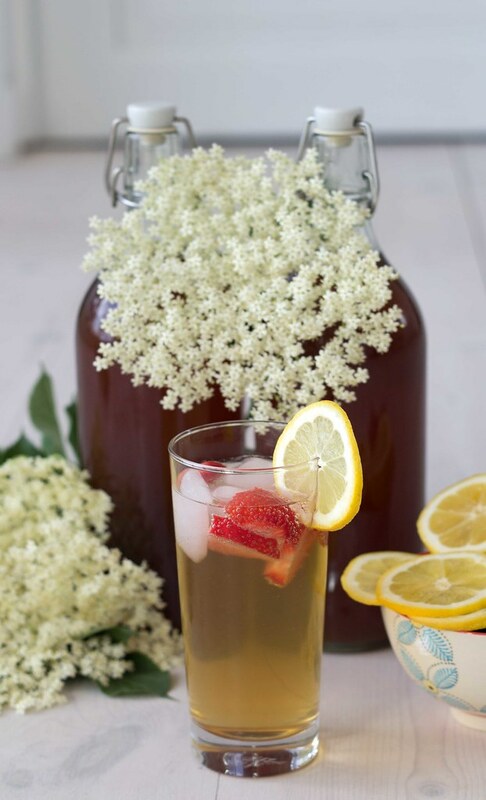 Step 1: Pick the elderflowers. Don’t pick those that are close to roads or close to the ground. 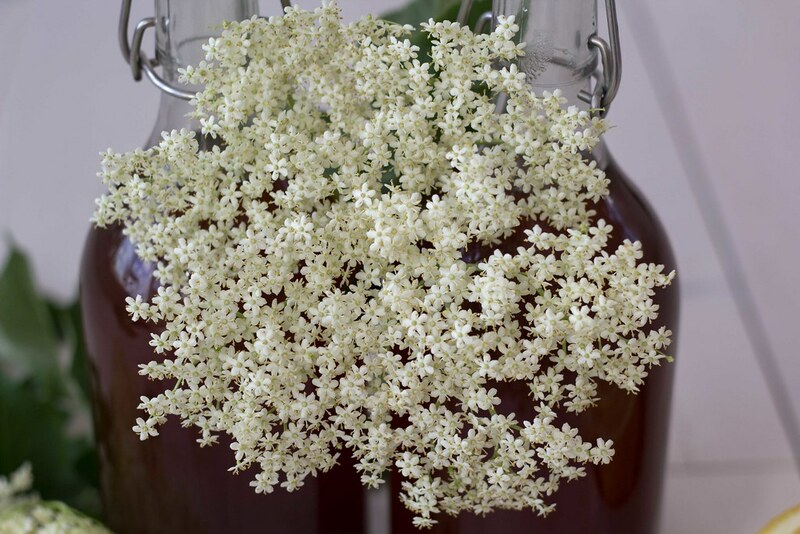 Step 2: Clean the elderflowers by shaking of little bugs and rinse them carefully in cold water. Step 3: Spread the elderflowers in a large pot or bowl. Step 4: Rinse the lemons and slice them. Place them on top of the elderflowers. Step 5: Pour sugar and brown sugar in the bowl and last pour the boiling water over it all. Step 6: Let it cool and place it in the refrigerator for 3-4 days. Stir the mixture once in a while. Step 7: When the juice is ready pour it through a strainer into another bowl. 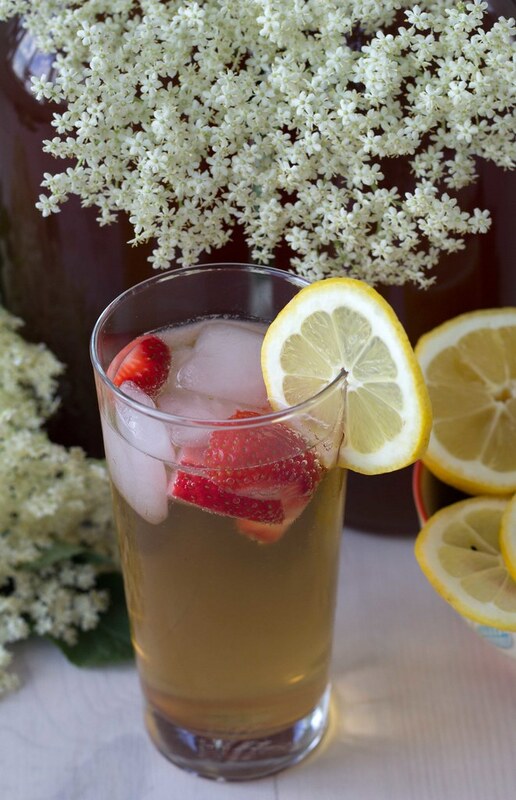 Throw the elderflowers away. Then pour the juice through a clean cloth to filter all of the juice. Step 8: Clean some bottles with boiling water and pour the concentrated juice on the bottles and refrigerate. It is possible to freeze the juice using plastic bottles. 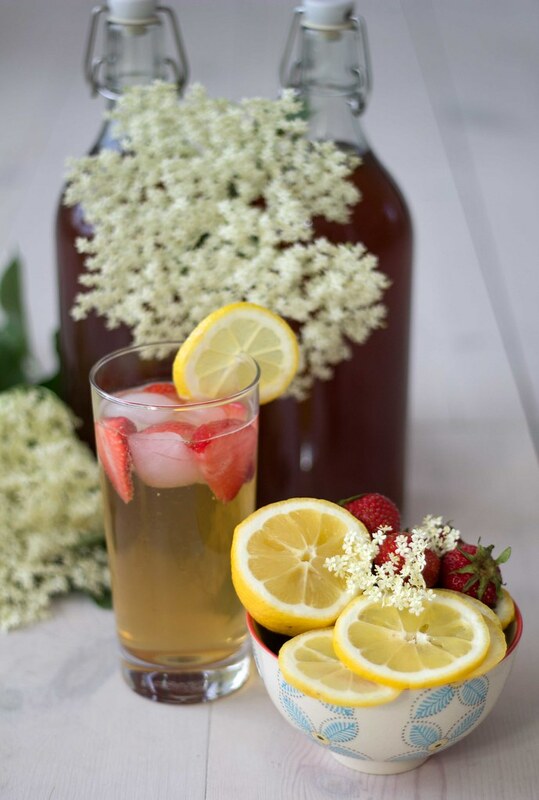 Then you can enjoy the summer taste of elderflower even in the winter time. Step 9: Mix the concentrated juice with sparkling water and lots of ice cubes. 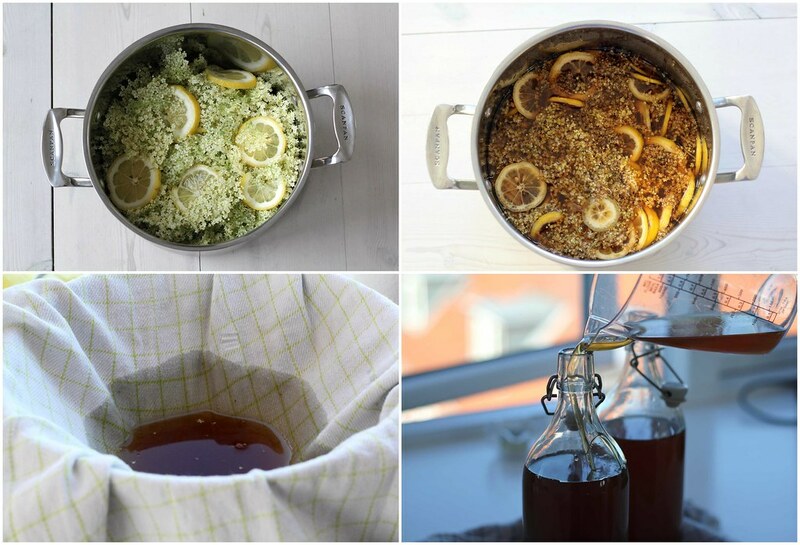 I have been making elderflower juice for several years, using citric acid in addition to lemons and oranges.. So when I saw that this had no citric acid I was very excited. But what a disappointment. It is MUCH too sweet. I hate to think how many calories it is piling on, because the flavour is good. 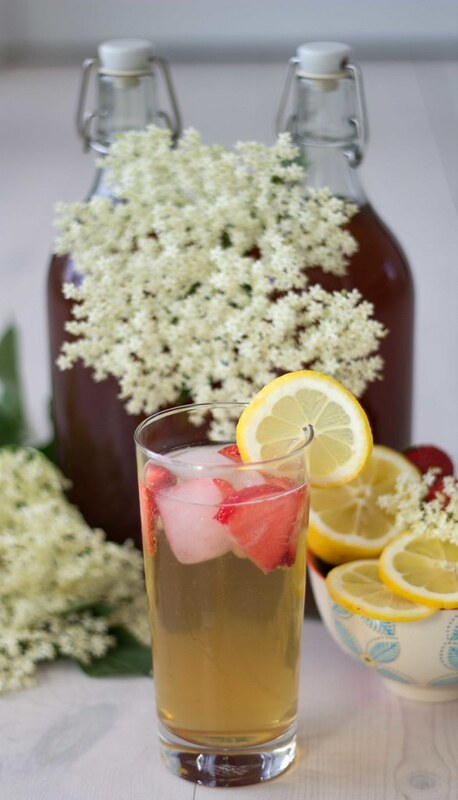 This Elderflower juice is for sure a little sweet because of the sugar. Compared with the citric acid elderflower juice it is absolutely sweeter.